A summary of which foods to eat and which to avoid. Special emphasis on green leafy vegetables, cruciferous vegetables and sea vegetables and other colourful vegetables. Preferably organic or locally grown. Best slow cooked until just soft and cooked through. 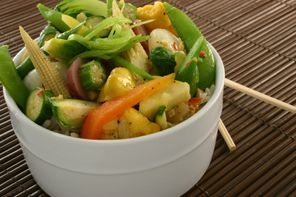 Raw vegetables are more difficult to digest.. 5 – 10 servings daily. Not as nutrient dense or important as vegetables, and the high carbohydrate content of some fruits must be taken into account. Cooked fruits are often much easier to digest. Preferably organic or locally grown. 1-2 pieces daily is ideal, especially if weight gain is an issue. An excellent addition to the diet daily or at least weekly. Must be freshly pressed. Best when made with a special emphasis on green leafy vegetables. Preferably use organic or locally grown or home grown produce. Small amounts of sour fruits such as berries, lemons and green apples can be added for flavour. Four or more can be eaten daily, with or without the whites. Some of the whites should be discarded if lots of eggs are eaten or eggs are eaten raw (egg whites contain an anti-nutrient that is partially destroyed by cooking). Preferably organic and free-range. The best choices are organic and free-range or pastured/grass fed meats cooked with the bones in. Buying organic meats should be a higher priority than buying organic fruits, vegetables and other foods. Game meats are also an excellent choice. Try to eat lots of different types of meats if possible rather than sticking to one type. Meats should not be overcooked or excessively browned. Organ meats can be far more nutritious than muscle meats. The best choice is liver and this should be eaten at least once a week if possible. Sourcing high quality organic and free-range or pastured/grass fed livers is a must. Avoid livers from commercially farmed animals. Brains are also very nutritious. 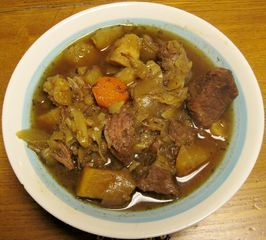 Stock made by cooking bones with water for 6 hours or more is very healing for the gut and nutritious; full of minerals, gelatine and glucosamine. It also tastes wonderful when used as the base for soups or sauces and a big batch can be frozen for later use. Sourcing bones from high quality organic and free-range or pastured/grass fed animals is ideal. A small amount of unpasturised raw cultured vegetables eaten with each meal can aid digestion and provide probiotics. 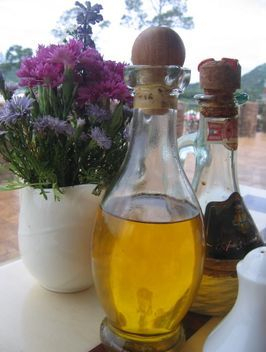 Small amounts of unpasturised apple cider vinegar or Swedish bitters taken in water with meals can also have the same effect. Sauerkraut, ginger carrot or kimche can be made easily and cheaply at home. Homemade yogurts contain vastly more probiotics than in-store varieties especially if they are allowed to culture for 24 hours. Kefir is a yogurt-like drink that contains beneficial yeasts as well as probiotics and is also easy to make at home. Yogurt can be made with coconut milk, or good quality raw organic milk. Kefir can be made with coconut milk or water, raw milk or a combination of water and sugars such as molasses. Non-dairy yogurt and kefir may be the best choice for many patients especially while the gut is healing. Choose organic nuts and seeds if possible. Always soak and dry or soak and sprout seeds and nuts before eating them, to make them easier to digest. Avoid pre-roasted or salted nuts and seeds. Avoid peanuts (a legume) due to mould content. Healthy fats for use heated. The best fats to cook with are the stable saturated fats such as organic virgin coconut oil, palm oil, butter or ghee and lard or tallow. Olive oil can also be used for cooking but only at moderate temperatures. Oils should not be heated above 160 degrees C/320 degrees F. Around 30 – 60% of the calories in the diet should come from fats. Adding virgin coconut oil to the diet daily has many health benefits. Healthy fats for use unheated. Good quality flaxseed oil, pumpkin seed oil, olive oil and avocado oil can be used in small amounts to dress vegetable dishes. Lots of garlic and ginger and other herbs are okay to use, especially fresh herbs. Spicy condiments may be better avoided. Raw honey has many health benefits and can be used to add flavour to drinks and other dishes in small amounts (due to a high carbohydrate content). Unrefined sea salt should be used liberally (to taste) to add flavour to all types of meat and vegetable dishes. Grains and legumes are problematic as they contain phytates, lectins, opiates (grains), gluten (grains), can be estrogenic and mimic hormones (soy) and are very high in carbohydrate. This makes eating them in large amounts little different to eating pure sugar. Grains and legumes can significantly contribute to weight gain, hypoglycaemia and lack of satiety after meals. They are also highly allergenic foods, may cause digestion problems due to high fibre content and may be very mouldy and toxic (sprayed with anti-mould agents and pesticides). Grain and legume crops are also disastrous from an environmental standpoint and there is some good evidence that our genes are just not designed to handle grains and legumes in our diets, and certainly not in the large amounts often eaten today. Many people will do best if grains and legumes are avoided entirely. But it does seem as if some people can do okay eating them in limited quantities. Trial and error is the only way to work out which group you are in at this time, although it is very important to note that some experts (such as Nora Gedgaudas and Dr Terry Wahls) do recommend strictly avoiding all dairy foods and gluten while you are trying to heal a damaged gut. If grains and legumes are eaten this is probably best done only in small amounts, and restricted to those grains and legumes that are organic (and so not genetically modified) and have been properly prepared by soaking and drying, sprouting or fermenting. Soy foods should be avoided by pregnant women, babies and small children and eaten only in small amounts and in traditional fermented forms by others. Foods from the nightshade family – potato, capsicum, eggplant, tomato and tobacco – often cause problems for those with arthritic-type pain or autoimmune disorders and may need to be avoided by some patients. Others may be able to tolerate small to moderate amounts of these foods with no problems. Patients may wish to avoid these foods for 3 months or so and monitor their symptoms before deciding whether or not to include these foods in the diet. It should also be noted that even if no negative effect is seen when adding these foods to the diet that these foods also contain compounds such as saponins which can contribute to a ‘leaky gut’ and so these foods may be best avoided whether reactions are evident after eating them or not. Processed milk can cause allergies and be very difficult to digest. Lactose intolerance is one issue surrounding milk but there are also many others. For example, modern dairies freely use antibiotics on the cows and the milk may contain high levels of growth hormone. The best choices of dairy foods are organic ghee (clarified butter), 24 hour homemade organic raw milk yogurt and homemade organic raw milk kefir. When raw milk is made into yogurt or kefir the sugars are eaten by the probiotic bacteria, leaving you with a very low lactose food that is digested very easily. Plain raw milk is not a good choice as it is high in lactose, a type of sugar. Some people seem to do very well eating small amounts of raw, high fat and fermented dairy products, while others are best off avoiding all dairy products. Trial and error is the only way to work out which group you are in at this time, although some experts do recommend strictly avoiding all dairy foods and gluten while you are trying to heal a damaged gut. Aside from the various health concerns many people also believe that it is just not natural or a good idea to drink milk once we are no longer babies, or from other animals, and this is also a valid point. Many of us facing illness may be better off avoiding raw fruits and vegetables. Cooked vegetables are much easier to chew and to digest. Some patients also need to strictly avoid eating over-ripe fruits. Gut healing diets such as the GAPS diet and the specific carbohydrate diet recommend avoiding high fibre foods while you are working on healing the gut. This would include grains and legumes as well as fibrous vegetables such as parsnip and the woody parts of broccoli and cauliflower. Disaccharide and starch containing foods. Gut healing diets such as the GAPS diet and the specific carbohydrate diet recommend avoiding disaccharide and starch containing foods while you are working on healing the gut. Small amounts of high-fibre flours such as coconut flour may be okay for some patients but may cause issues for others. Some patients have an issue with fructose absorption. Protein powders can be useful in providing an easy source of protein especially where eating is difficult due to illness. But protein powders are also a high processed food and some health experts recommend avoiding them entirely. They are probably best kept for emergencies and for use in patients that have a need for a liquid diet or that are not able to taken in other forms of protein. A protein shake is not the best way to get your protein but is far preferable to not taking in enough protein at all. Large amounts of high carbohydrate foods and too much of the daily calories coming from carbohydrates with not enough fat and protein. Highly processed foods including all boxed cold cereals, biscuits, crackers etc. Any food you react to or are allergic to or which raises your pulse significantly after you eat it. These foods should be identified using an elimination diet. * Choose organic where possible but note that produce fresh from your own garden is best, then fresh, locally sourced and organic, then fresh and locally sourced. 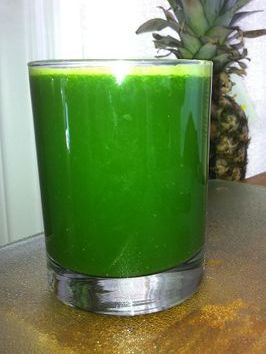 Wilted and old vegetables are not a good choice even if they are organic and even if they are only being used for juicing. 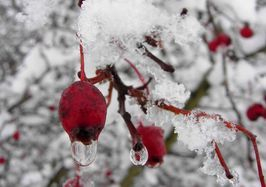 Some frozen options may be passable if they are your only choice and canned vegetables and fruits should be the last choice. * Cut off any damaged areas, always wash produce well and inspect for signs of mould. 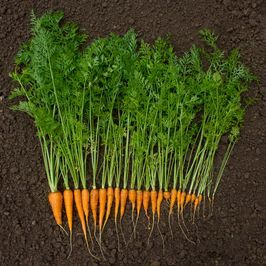 * Cut off the top and tail of each carrot, making sure you cut off all green parts on the top of the carrot. The green parts are toxic and should not be eaten. Some people recommend to always peel carrots because carrots (and onions) can grow bacteria with LPS which can then trigger permeability of the gut. * Potatoes that have sprouted or are green or taste bitter should not be eaten. Green potatoes are high in solanine; a glycoalkaloid (poison found in nightshade family) toxin. * Cooked fruits and vegetables are very nutritious and much easier to digest. The nutrients are often far more easily assimilated when the food is cooked as cooking works as a sort of pre-digestion phase. Do not believe the myths that all or most food should be eaten raw for the best nutrition or that raw food is easiest to digest. Raw vegetables are MUCH harder to digest! * Good cooking methods for vegetables include slow cooking in broth, steaming and roasting. * Vegetables can also be made more digestible by being cultured. 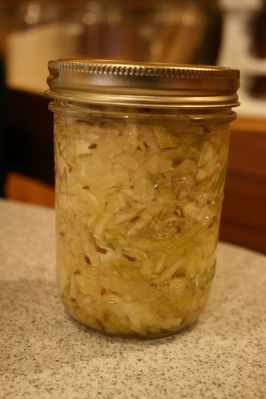 Even though the cabbage is not cooked when sauerkraut is made, the fermentation process partially breaks down the cabbage and so eating it is nothing like eating raw cabbage. Due to the high enzyme and probiotic content it’s even easier to digest than cooked cabbage but with none of the cooked cabbage taste! * For best nutrition do not microwave fruits and vegetables as this adversely affects the nutrient content of the food. * Excessively browned meat is not good for you and increases cancer risk. Choose slow cooking methods most of the time. * Overcooked meat becomes tough, hard to chew and hard to digest as the protein fibres become compacted when meat is cooked too long especially at a high heat such as in grilling or frying. Learn to love a rare or medium-rare steak if you can – it’s so much more delicious cooked this way too. * Do not overcook eggs as you want to avoid eating oxidised cholesterol. Cook eggs until just cooked through, at the most. If you choose to eat raw or runny egg yolks only do this when you have a trusted high quality egg supplier as there is some risk with raw eggs. * For best nutrition do not microwave meat or eggs as this adversely affects the nutrient content of the food. * Soak and dry nuts and seeds before eating them. This improves their digestibility. It is not necessary to soak brazil nuts or coconut. * Nut flours such as almond flour can’t really be soaked before use (to make them more digestible) unless you have soaked them yourself before grinding the whole nuts up at home. Coconut flour does not have this issue and doesn’t need to be soaked before use. * Using nut flours, with the exception of coconut flour, for cooking to make things like egg, nut butter and zucchini cakes that are fried in a pan or nut flour biscuits in the oven may not be a good idea unless these items are cooked slowly at a very low temperature. The oils in nuts are fragile and can easily be oxidised by excessive light and heat exposure. Some recommend avoiding cooked nut flour products entirely for these reasons. Nut flours except coconut flour should be stored in the fridge or freezer. * Avoid buying loose nuts from ‘pick and mix’ type food bins. These nuts are often very mouldy. Avoid buying pre-roasted nuts as these will often be rancid and oxidised. *Check nuts for rancidity before eating them. Many packaged nuts are already rancid before you even get them home, especially walnuts and brazil nuts. Nuts are very prone to becoming rancid due to the delicate non-saturated fats they contain. * Watch out for pink areas in whole or drinking coconuts, or in homemade coconut cream yogurt. 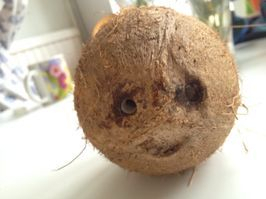 Coconut products showing signs of this type of bacterial overgrowth should be discarded. * Do not buy any non-saturated oils such as olive oil, macadamia oil or flax oil in clear plastic or glass containers. These delicate oils are easily oxidised by exposure to light and heat! Good manufacturers will not sell these oils in such inappropriate containers. * Keep all your cooking oil bottles or jars well sealed, as poorly closed lids can mean that the product quickly oxidises and becomes very unhealthy to consume. They should also be kept away from sunlight and heat. * Duck fat, coconut oil and palm oil are healthy fats to cook with but using hydrogenated versions of these products is very unhealthy. Read labels carefully. Hydrogenated forms of all oils should be avoided including canola oil, corn oil, soy oil, cottonseed oil and ‘vegetable oil’ – all of these listed products should be strictly avoided entirely. * When frying food in coconut oil or palm oil do not keep reusing the same oil for a long time. If you do choose to use the oil two or three times make sure you seal it well in a container in the fridge after each use. * Experts have different opinions on whether or not olive oil should only ever be used cold or if it is okay to use it at low-moderate heat. The only oils safe to use at high heat are lard, tallow, ghee, coconut oil and palm oil. * Ghee, coconut oil and palm oil do not require refrigeration as these oils are more robust. * Do not ever use flax oil, peanut oil, avocado oil, sunflower oil, macadamia oil and other delicate oils to cook with. These oils are for cold use only such as in salad dressings. If these oils are heated they quickly become oxidised and very unhealthy to consume. Some experts also recommend not buying these delicate oils at all. Unless they are very carefully handled during processing, which rarely happens, they will be rancid and oxidised before you even get them home. They really are best avoided. You can’t always tell by taste whether an oil has gone rancid. Eating oxidised oils is very bad for your health! Better to get these healthy fats from whole sunflower seeds and avocadoes than from unstable and probably unhealthy sunflower oil and avocado oil! * Use glass, cast iron, stainless steel and enamelled cast iron cookware to cook in. Avoid all non-stick pans as they may leach toxic compounds into your food or the air. Buy a slow cooker with a ceramic insert rather than an aluminium one. * Never use plastic wrap on hot food, and especially never microwave food with plastic wrap over it. The heat allows the chemicals to leach into the food far more readily. * Use glass or ceramic containers to store food leftovers in. If you do use plastic containers then make sure to not add the food to the container until after it has cooled. Plastic contains are much lower risk if only used when cold. * Store water in glass bottles if possible. * Avoid kettles with plastic boiling chambers and other plastic food cooking devices. This paper is an attempt to summarise and simplify the information contained in the best books on diet. This includes Primal Body, Primal Mind by N. Gedgaudas, Eat Fat, Lose Fat by Sally Fallon, Deep Nutrition: Why Our Genes Need Real Food and Food Rules by Catherine Shanahan, Know Your Fats by Mary Enig PhD, Nourishing Traditions: The Cookbook that Challenges Politically Correct Nutrition and the Diet Dictocrats by Sally Fallon and Mary G. Enig PhD, GAPS Diet by Natasha Campbell-McBride (and to a lesser extent Breaking the Vicious Cycle: Intestinal Health Through Diet by Elaine Gloria Gottschall), No More Heartburn: The Safe, Effective Way to Prevent and Heal Chronic Gastrointestinal Disorders and Wellness Against All Odds (and other books) by Sherry A. Rogers, The Primal Blueprint by Mark Sisson, Nutrition and Physical Degeneration by Weston A. Price, The Untold Story of Milk By Ron Schmid, Good Calories, Bad Calories (or, The Diet Delusion) by Gary Taubes, The Whole Soy Story: The Dark Side of America's Favorite Health Food by Kaayla T. Daniel, The Vegetarian Myth, Beyond Broccoli, The Schwarzbein Principle, Fat: It's Not What You Think by Connie Leas, Salt your way to health by Dr Brownstein and Real food by Nina Planck – plus many excellent articles on diet by Dr Lawrence Wilson and the Weston A. Price Foundation and others. ‘All of us, regardless of our ideologies, ethnic backgrounds or anything else are genetically “hunter gatherers” and 99.99% identical to humans living 40,000 to 100,000 years ago. We are, in effect, creatures of the Ice Age and designed to consume a diet rich in animal source foods and natural fats, together with a variety of fibrous plant matter. Vegetarianism and veganism are modern day ideas founded more in ideological principles than principles of human physiology and anthropological evidence. Animal source foods are only as healthy as their sources, and no one should be eating hormone- and antibiotic-laden, feedlot-fattened, or unethically-treated meat sources. The alternative is not vegetarianism/veganism…the alternative is finding healthy, ethically- or naturally raised sources of these animal source foods that we have consumed and have been physiologically adapted to eating as hominids for the last 2.6 million years.